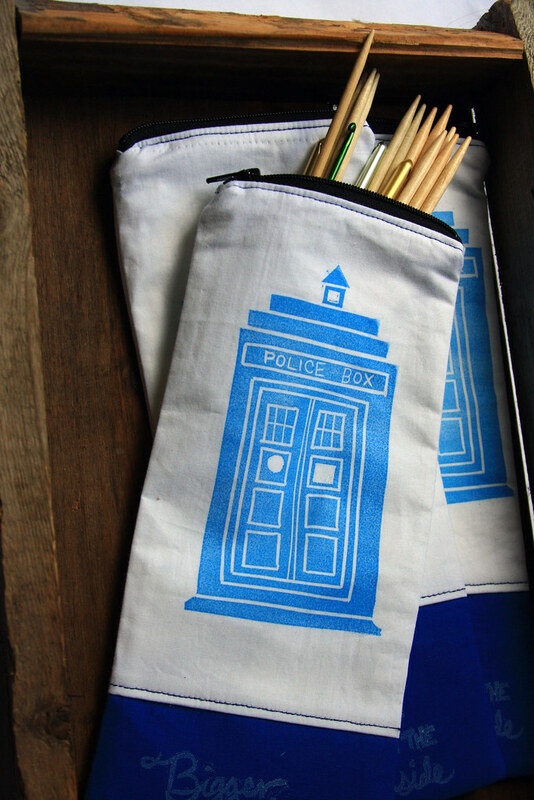 The pattern for these is just a very simple zippered pouch. I carved the image out of speedy carve and used VersaCraft for the fabric ink. 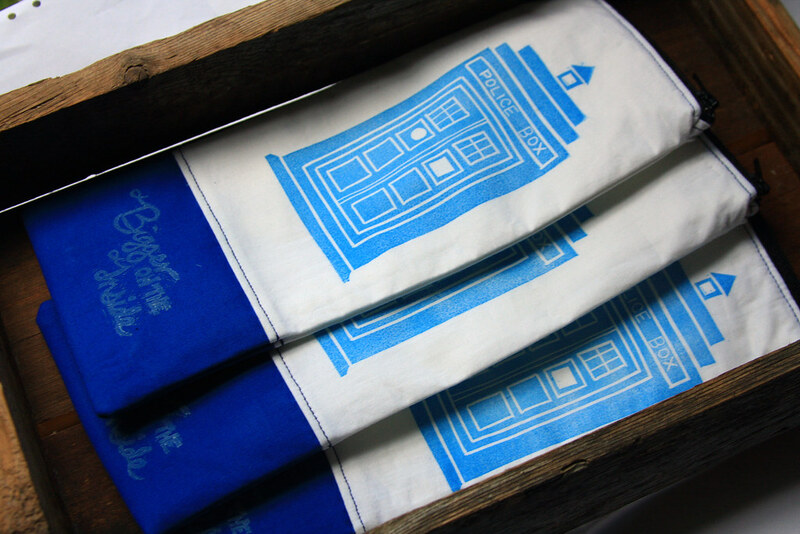 I'm loving printing my own fabric at present and have high hopes for more Dr. Who related knitting notions and cases. Great bags and those images are so sharp. Lovely Dr Who stuff. Excellent pouch and love the self made design! Wow - what a clean stamp! These turned out really great. You did such a great job! I love the color block effect, and I'm really impressed with your carving skills. I would love to have one of those! Thanks everyone for your lovely comments! !